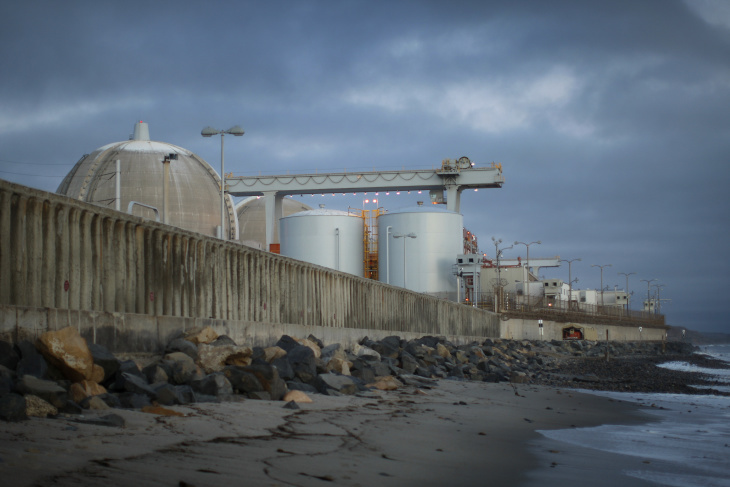 About 8 million people live within 50 miles of San Onofre, the now-defunct, beach-adjacent nuclear plant located between Oceanside and San Clemente. Inside the plant is 1,600 tons of radioactive waste. Much of the spent nuclear fuel is currently sitting in cooling pools waiting to be moved to a safer location — specifically, one that's less vulnerable to earthquake faults and rising sea levels. On Tuesday, Rep. Mike Levin and Orange County Rep. Harley Rouda spoke to reporters at Southern California Edison's decommissioned facility about a proposal to speed up the removal of that waste. "We probably shouldn't have had a nuclear power plant here in the first place," Levin said. "But now that we do, and we're stuck with 1,600 tons of spent radioactive nuclear fuel, we better do everything we can do to prioritize." But on August 3, a 20-foot tall canister containing more than 50 tons of radioactive waste was left suspended on a metal flange 18 feet above a storage bunker floor during its transfer. Safety slings to keep the canister from falling were disabled, so the danger was that the canister could have fallen. SCE spokesman John Dobken said SCE did not properly disclose the incident that day. The Nuclear Regulatory Commission found that from Jan. 30 to Aug. 3, 2018, workers loading the canisters into the bunkers "frequently" knocked the canister against components of the vault, potentially gouging the steel container. Again, Edison did not document the contacts as it should have, Dobken said. The NRC cited "apparent weaknesses in management oversight" of how the waste canisters were stored, and fined Edison $116,000 for the violation. The company did not sufficiently oversee its contractor doing the work of moving the canisters, the NRC said. Here is the NRC's November 2018 report that criticized Edison's handling of waste. 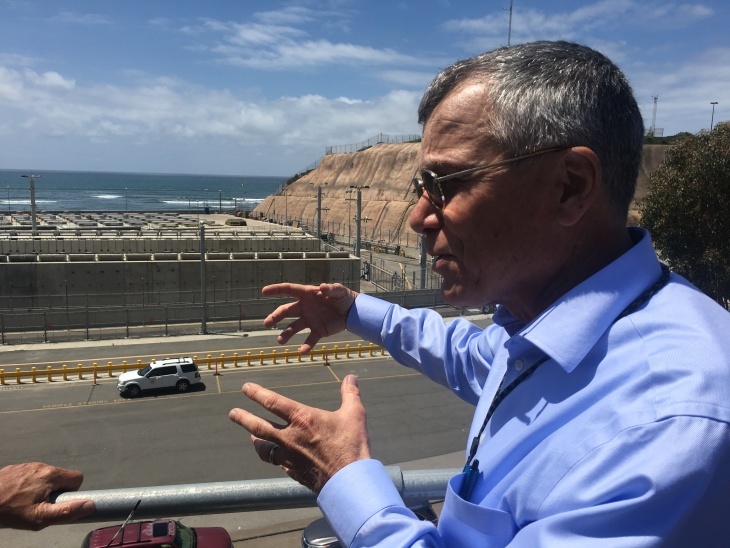 The August incident highlights the ongoing search for a safer place to store spent nuclear fuel at the plant located between the beach and I-5 on Navy-owned land between Oceanside and San Clemente. The plant closed in 2012 after radioactive water was found leaking from a fairly new steam tube. Two massive steam generators had been recently installed, but some 3,000 steam tubes were showing premature wear. Edison retired the nuclear plant's two power generators in 2013. The San Onofre Nuclear Generating Station, or SONGS, was capable of putting out 2200 megawatts of electricity, enough to power 1.4 million homes. Southern California Edison owns 78 percent of the plant, 20 percent is owned by San Diego Gas and Electric (sister company to SoCal Gas, parent company of both is Sempra), and City of Riverside Utilities Department owns 1.8 percent. Correction: An earlier version incorrectly described the party responsible for the NRC violations.